As British Pie Week draws to a close, we’ve got one important message for pie fans: “A pie is for life, not just British Pie Week!” For as much as we promote British Pie Week – especially having become the unofficial home of British Pie Week this year – we know that pies are far too good to celebrate just one week of the year! 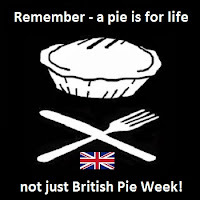 How the Americans just have a “National Pie Day” I do not know – but British Pie Week is just the start of things for us! And so while our Leeds Pie Tour, which we started yesterday and continued into today, wraps up another busy but highly enjoyable Pie Week, we’re delighted that so many people have tweeted, emailed and got involved with us and our pie antics this British Pie Week! The reaching of 600,000 page views on Thursday was amazing, and passing 10,000 page views in British Pie Week by Friday morning was great too! And today we celebrated having 2,500 followers on twitter, who are (hopefully) enjoying all our pie-fueled tweets! We’ve certainly been filling their twitter feed with more pies, puns and pie photos than ever before, and have loved the engagement we’ve had with pie fans across the world! Remember, just because British Pie Week is ending, there is no need to cut back on the pies and not celebrate next week (and the week after, and the week after that) with even more pies and puns! We’ll be trying to get through our pie review backlog and giving you even more suggestions for what to buy and what not to buy in the world of pie - with over 600 pies now rated on the world's leading pie review blog! So thanks for stopping by to read about pie – and we hope you’ll enjoy pies and our pie blog throughout the year, until British Pie Week 2018!!! It’s now time for us to say farewell to Leeds, and start writing up some of these pie reviews we’ve been too busy eating more pies to write! Fortunately that’s one of the benefits of a long train journey home. 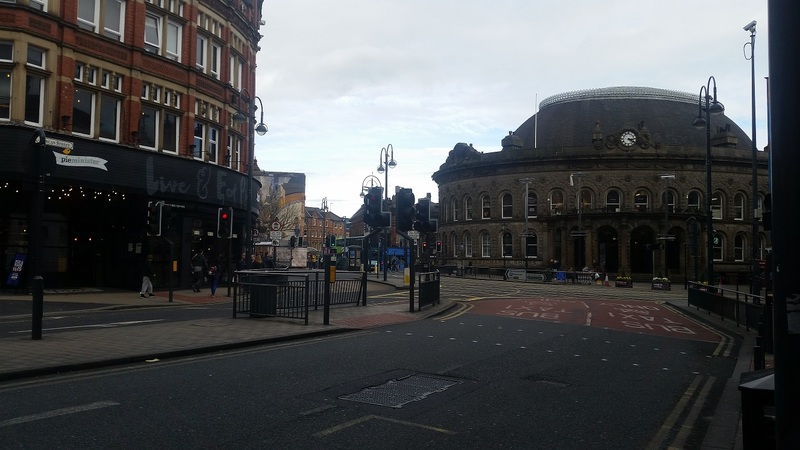 Thanks for having us Leeds – it’s been a pie-leasure!! !